Fast and easy every time. 2. Place some of your greens in a bowl. 4. 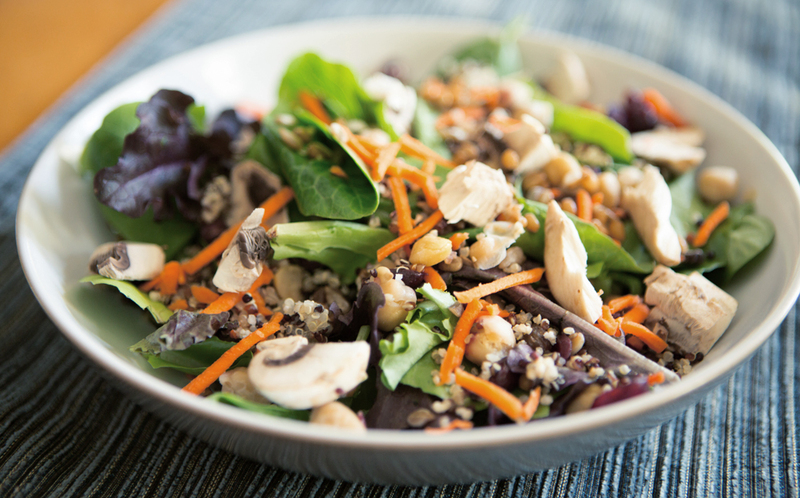 Dress the salad with your favorite non dairy dressing. 5. For a heartier meal, add a veggie burger and guacamole on top.